Those of you who’ve been reading my blog for a while will know that I attended a Bob Chilcott workshop in Kingston last year… and loved it. Clearly, one of the other attendees of the Kingston workshop, Anne, was also super excited about the event. 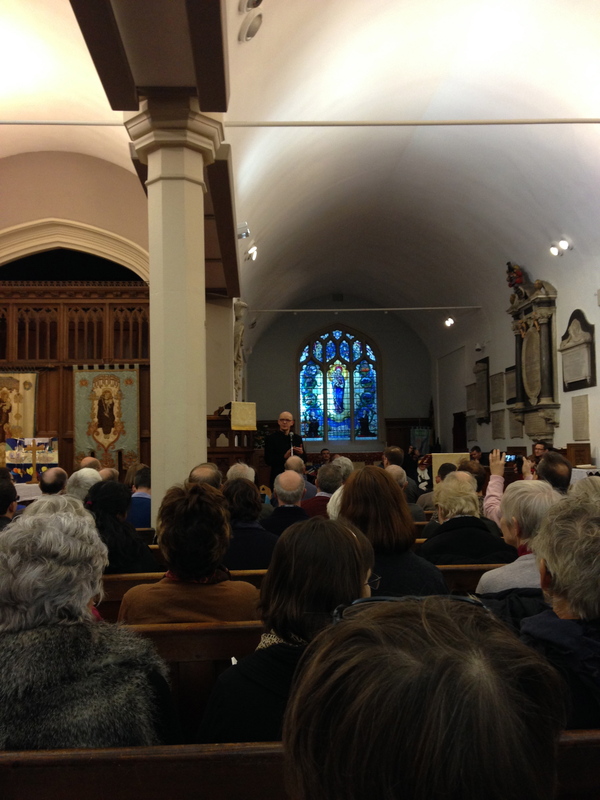 She was so excited she encouraged her church in Teddington to host Bob Chilcott for another workshop today. I was, again, very excited to receive an invitation to attend. However was then disappointed that despite my eagerness to return my application and cheque, I was beaten by others to attend and I was put on the waiting list for tickets. However ‘Postive-Spin Wallace’ put it in her diary anyway and waited for a call to say that I’d been moved off the reserve bench and had a ticket… a few weeks ago the call came and today was the day of the Workshop. I’m sure there are some reading this that don’t sing and perhaps think I’m a dullard to do so. Truly I was in your camp not that many years ago and used to wonder what Mum got out of the choirs she was a member of. 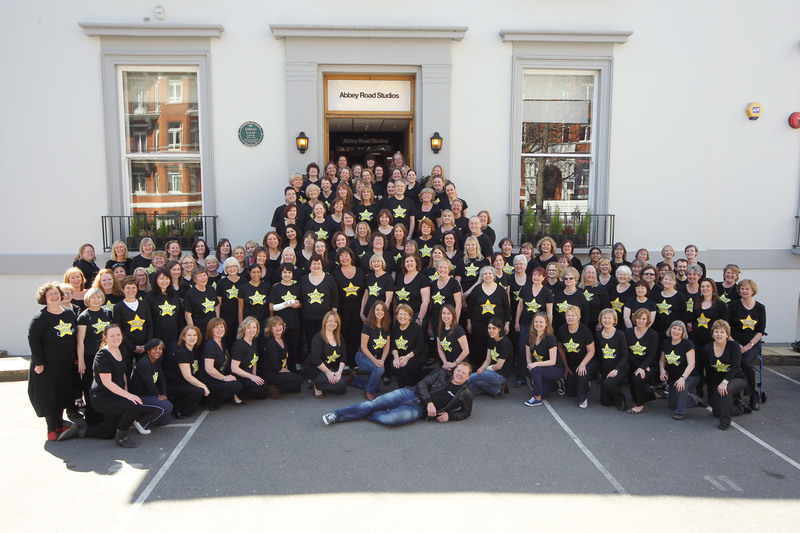 I joined the Rock Choir for many reasons but one reason was so that for an hour and a half each week all I thought about, was singing. It truly lifted my spirits in doing so. I met a new group of enthusiastic people who laughed – a lot. People who appeared (at least for 1.5 hours) to be carefree and this rubbed off on me. ‘Carefree’ is a feeling that I lost when I was diagnosed with an unsure rare cancer. I hadn’t realised that I missed it nor that everything I did, thought or felt appears now to be planned, considered or reserved. So to be ‘carefree’ again has been a joy. 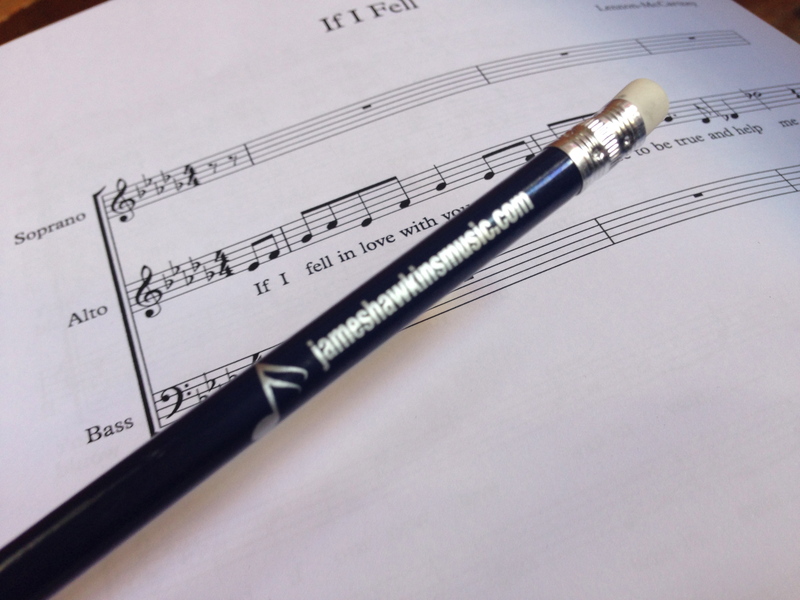 At Rock Choir we learn songs with only the lyric sheets. No music. We learn by ear and eventually without any lyric sheets too. At first I found it hard to not see and read the music but realise that this makes it ‘all inclusive’ and that noone is disadvantaged if they don’t read music. 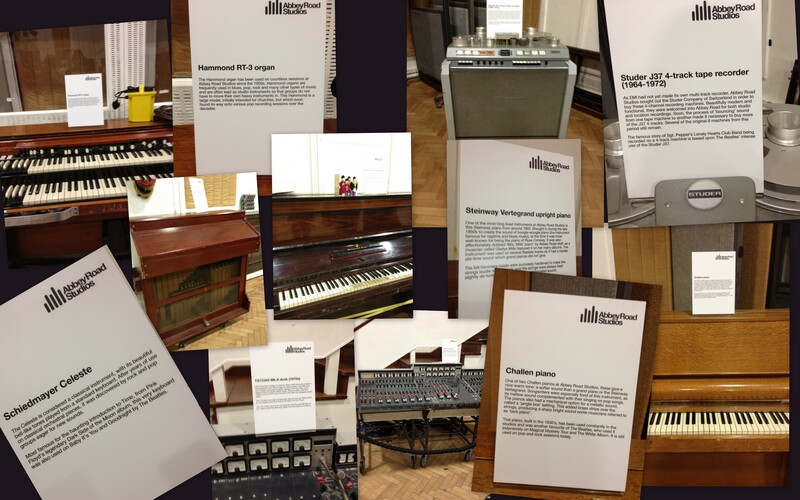 The music choices are contemporary – such as Adele, Beegees, Olly Murs, Amy Winehouse etc. 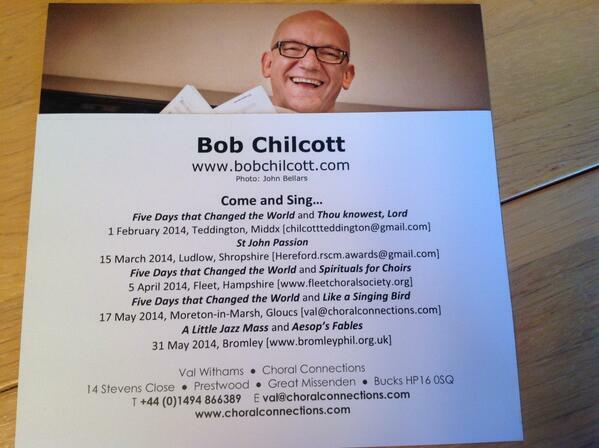 I signed up for the first Bob Chilcott workshop in Kingston as I wanted to challenge myself further. Learn to sing reading music. More choral and classical pieces and demanding a more precise method of singing with more vocal parts in the choir. Chilcott Requiem – Thou Knowest Lord. The workshop attendees were once again a wonderful mixture of people from different choirs, choral societies and Rock Choir. 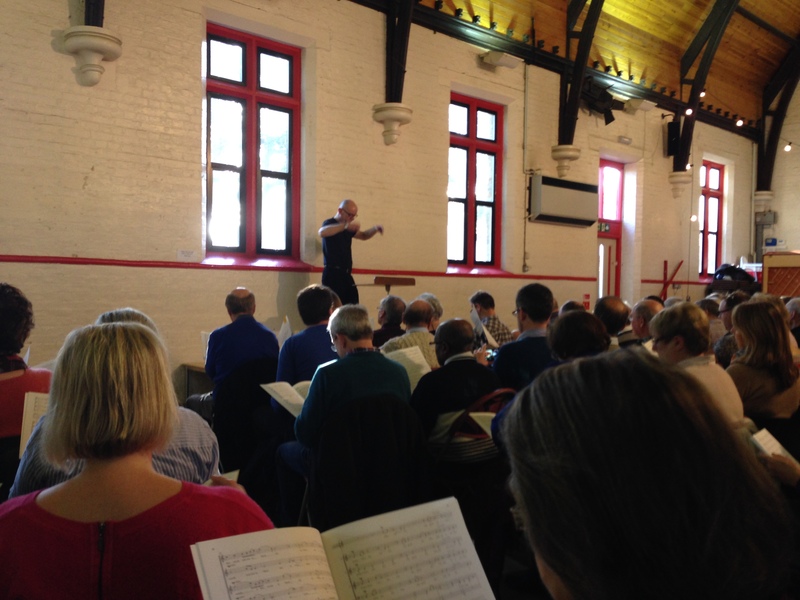 It was lovely to have so many men singing in the bass and tenor sections. As always, I enjoyed speaking to lots of new people and discussing how we each worked with our choirs to learn new songs. Listening to people talk animatedly about their choirs. What they enjoyed about being part of a choir. I was also surprised to hear from a couple of people that they were envious of our singing without music as they felt that it was really difficult to then sing without the score. Whereas I said that I’d love to see the musical score and to be able to learn or re-learn the back catalogue of Rock Choir songs from the music score. There is probably a happy medium for us all! Although we learnt so many pieces during the one day – OK perhaps there was a lot of finessing that was still required (!) – I was once again encouraged by Bob Chilcott’s teaching style. YouTube clip. He has the ability to encourage everyone to sing. To hear where there can be improvements or tweaks required. He tells us why he wrote the piece that particular way, the inspiration behind it and who’s previously sung it. We are then able to understand further what we are singing and, I hope, interpret the emotion through our collective voices. There are lots of laughs throughout the day too. 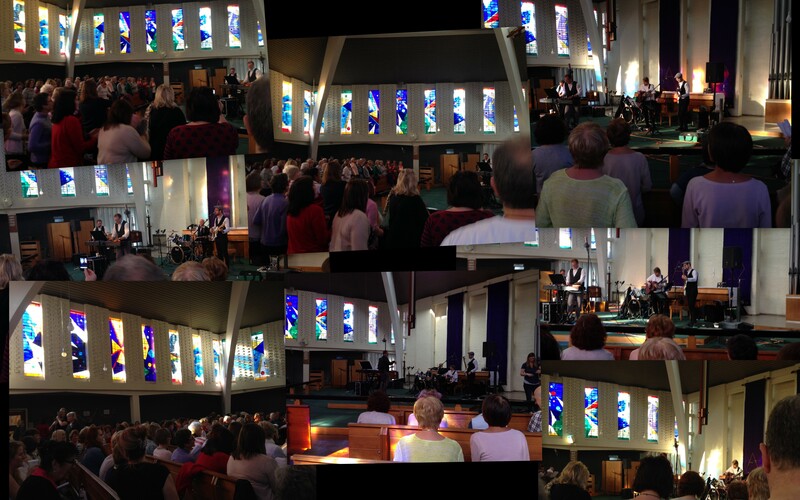 At the end of our day’s Workshop we headed over to the Church to put on a short concert of the pieces we had learnt to anyone who had turned up…mostly family and friends. Here’s a YouTube clip of us performing one of the pieces. I’m quite impressed! 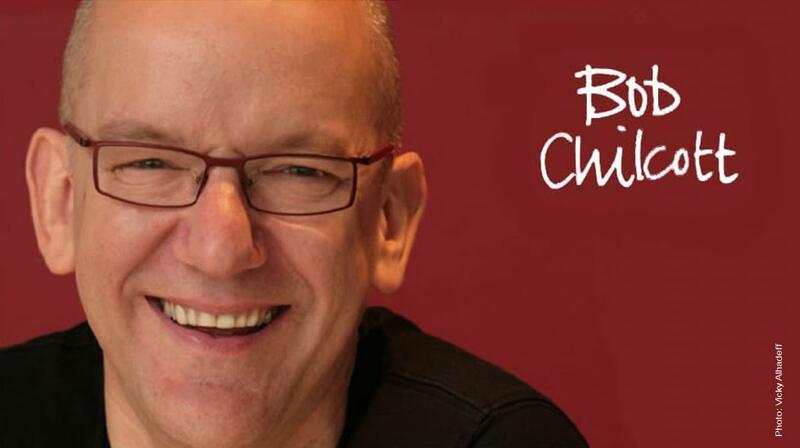 If you’re encouraged to attend a workshop or perhaps to listen to Bob Chilcott in concert, keep an eye on his website for opportunities. I’m still pinching myself. 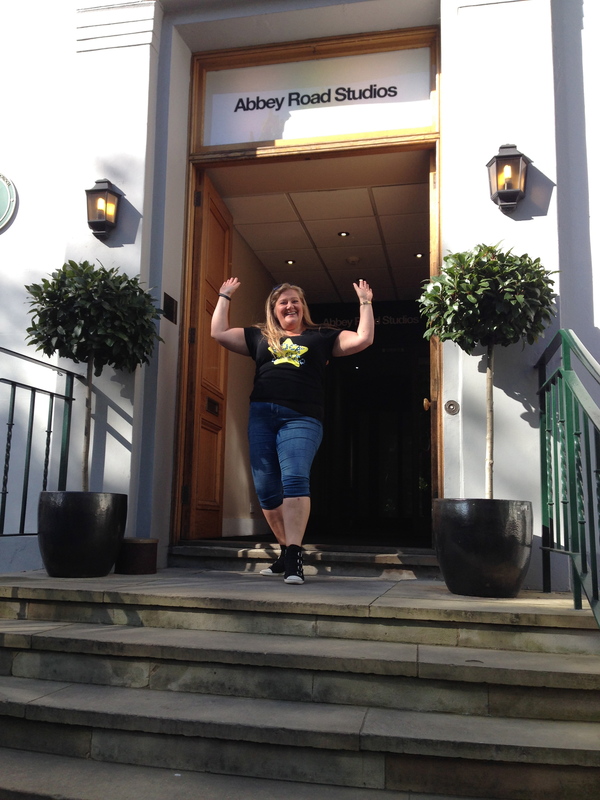 How mad is it that I started singing with the Rock Choir a year ago and since then have sung at the O2, recorded at Abbey Road and now sung at Wembley Stadium? What a hoot! 5,000 Rock Choir members were seated in the front few rows at Wembley Stadium. We were grouped according to our vocal parts. Before the game started our Rock Choir leaders took their positions facing us and signalled to remove our outer layers, thereby revealing us all in Rock Choir t-shirts. We opened the evening’s entertainment with our Rock Choir rendition of ‘You’re the Voice’. Then everyone joined in to sing Saracen’s anthem ‘Do you hear the people sing’ (a tailored version of the song from Les Miserables. 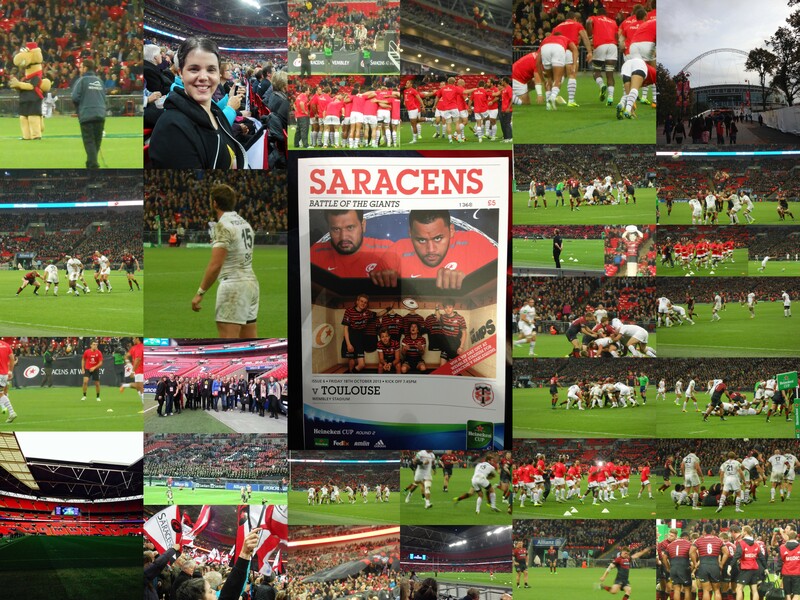 Then to see the first half of the Heineken Cup rugby match between Saracens and Toulouse. At half time we performed ‘Living on a Prayer’. The Vamps were also performing in the half-time break… but I think I’m a little old! The second half of the rugby game was much faster and exciting. Sadly (for Saracens) they lost by just one point. I understand from those people that were watching the game on Sky that we sounded fabulous! Our Rock Choir ‘Ring of Choir’ worked! Loved the experience. So much fun. As you know I’m a member of the Rock Choir. I’m still loving it. I’m still enjoying our rehearsals every Wednesday where I escape from reality for a couple of hours and concentrate on learning the harmonies, the movements and the words. Today was a special day. 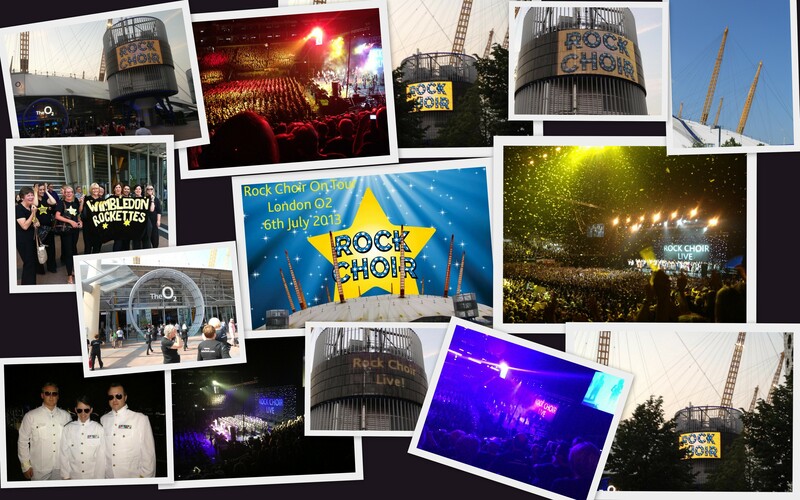 We, collective Rock Choirs, performed at the O2 Arena in London. How mad is that? 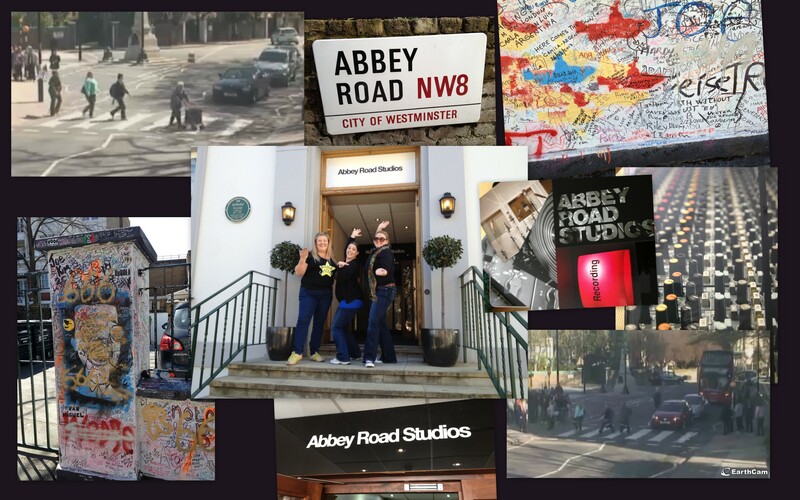 A few months ago I didn’t sing in public and now I’ve recorded at Abbey Road, sung at Royal Festival Hall and now the O2 together with smaller local gigs. I believe there were approximately 7,000 Rock Choir members in the O2. We were separated into our harmony parts around the arena and together with our choir leaders who were on stage sang our way through an 18 song repertoire. What a truly amazing experience. Wow today our Rock Choir performed at the Royal Festival Hall in front of a huge audience. We had been invited to participate in the Voice-Lab Chorus Festival and were positioned on stage in the Clore Ballroom. To say I was a touch nervous would be an understatement but what a buzz. Here’s a little clip that one of the audience took and uploaded to YouTube – fortunately I’m mostly obscured by a pillar! There were about 100 people eager to learn. About half of these were from Rock Choir and the rest from different choral societies. Oh yes I heard a sniffy comment from someone about how it would be way too difficult for Rock Choir members to do something so complicated. Oh how we proved them wrong by the end of the day. It was an intense day and really inspirational to work with such a master and at such a high level. We also learnt another song “Queen of the May”. At the close of the workshop, Bob asked the Rock Choir to sing to him so he could understand more about the Rock Choir. We sang True Colours to him. Following the workshop we received an email with a message from Bob Chilcott – Wow!